Sometimes in Japan it's a good idea to look down, not up, as you walk. Especially if you're headed to the Japanese Manhole Cover Festival happening in Tokyo! Japanese manhole covers are packed with history, culture and design, which makes them the perfect subject to celebrate. 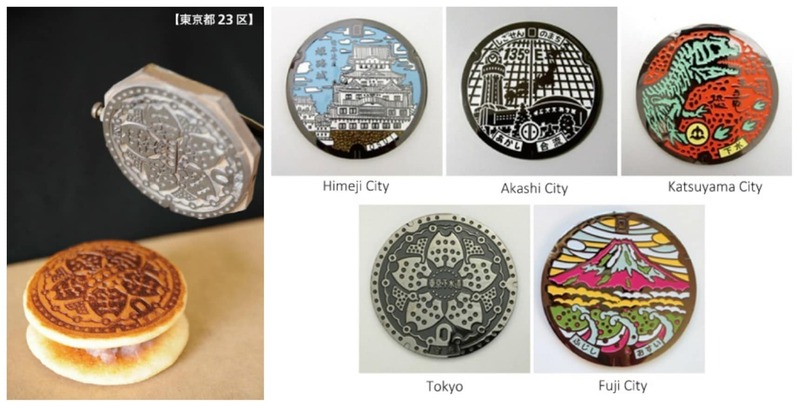 Actual manhole covers from all around Japan, as well as collector’s items, will descend on Tokyo this coming weekend. The festivities are taking place on the ground floor of Shinjuku Takashimaya department store from February 1 to February 3, 2019. That’s definitely not enough time to celebrate manhole covers but there is a satellite exhibition going on right next door at Tokyu Hands Shinjuku. There, on the seventh floor, you’ll find a section dedicated manhole cover goods and collectables, which will be open through February 24, 2019. To learn more about the artful (and delicious) objects that will be displayed, check out the original article from our friends at Spoon & Tamago via the link below!